Fashion is all about hype. Yes, nothing new but a universal truth in our industry. As seasoned journalists we have seen a lot in the last 15 years while visiting the men’s and women’s shows for our magazine Achtung Mode and the hype element never changes. Great fashion or better great clothes are often forgotten or ignored if there is no heat or hype to support them. Even if fashion critics are no longer as powerful as they used to be to make or break a collection — and Suzy Menkes in her International Herald Tribune days or Bridget Foley of WWD used to have this kind of impact — the bloggers, social media stars, celebs and to a large extent the international corps of buyers and press can still ignite a fashion fire for a house or designer. So what is really telling about our two favorite shows of 2016 is that they exactly follow that pattern. 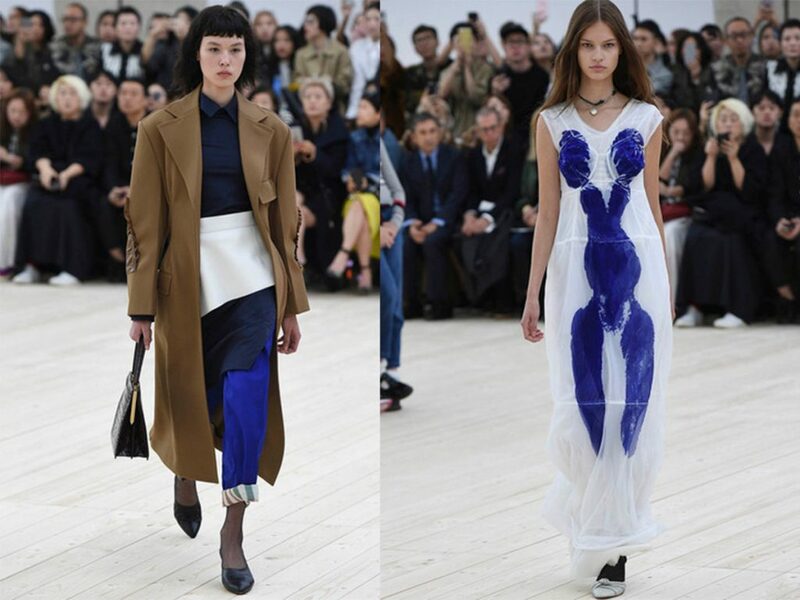 Demna Gvasalia has made Vetements the new Margiela and with his appointment at Balenciaga he has become a fashion super star. So his first men’s show for the Kering house was the kind of fashion moment we all live for. 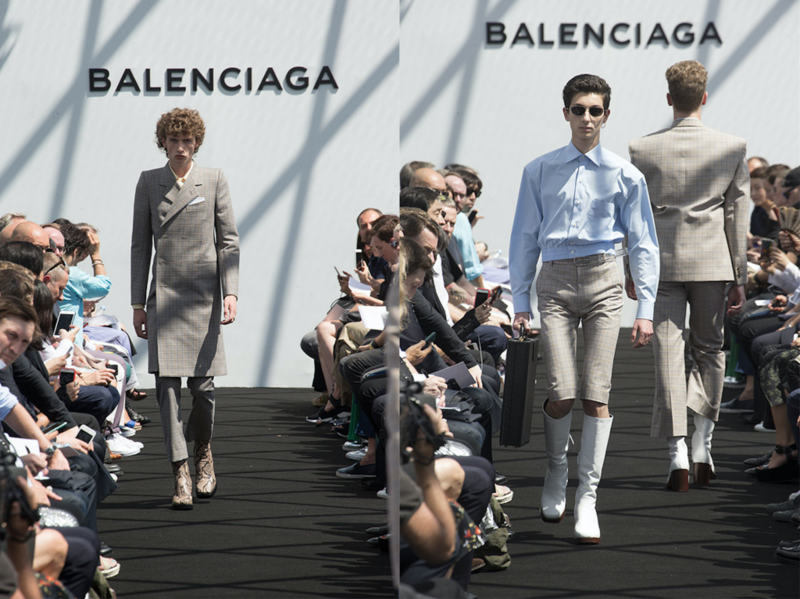 Held on the roof of an elite lycée in the 16th arrondissement with full views of the Eiffel Tower on a hot summer day, Gvasalia sent out a master class in inventive tailoring by playing with two extreme proportions. Super shrunk or super oversized. It was a moment because the Holy Grail of men’s fashion has not been found yet. 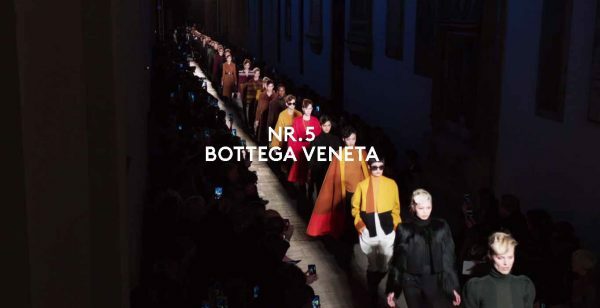 The last few years were dominated by Zegna Couture with Stefano Pilati or Alessandro Sartori at Berluti to redefine the game. The idea was to put sartorial men’s fashion on the runway and hence find a new fashion customer. Not to forget Brioni with Brendan Mullane and pompous Justin O’Shea. But it did not work out that way. 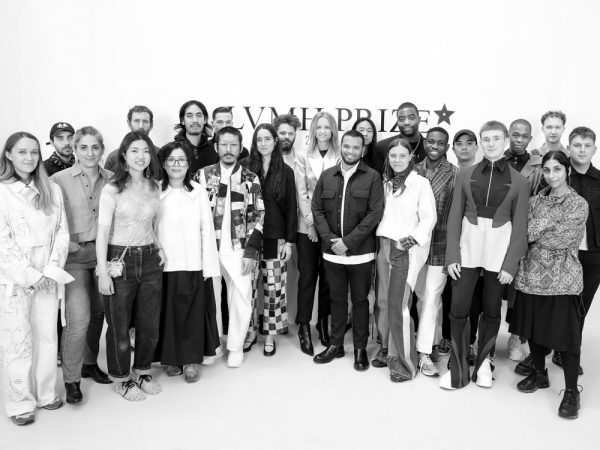 Men did not buy into these collections or visions as expected and it has been a financial burden for LVMH and Kering. Sure, Berluti was successfully established as more than a shoe maker and savvy Sartori built a credible tailoring signature for the brand which will surely pay off in the long run. But the tailored clothing customer is different from the fashion client. This lesson is clear now. 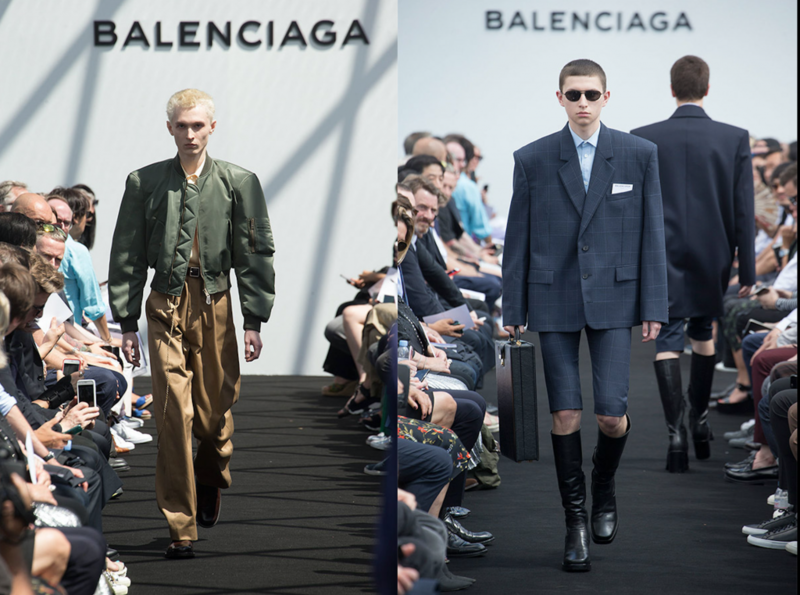 And the Balenciaga men’s collection seems to have exactly bridged that gap by using super high-end fabrics that are even used in the Vatican for bishops and by showing street clothes like the omnipresent bomber. And let us not forget, every designer is looking to fuse these two elements but only the ones with heat and of the moment manage to do that. 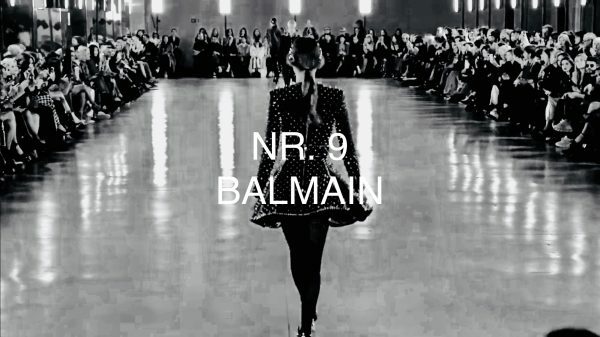 So Balenciaga will not only be a powerful brand in women’s wear going forward but will also redefine men’s wear where it has been largely sleeping under Nicolas Ghesquiere who made his men’s basically his personal wardrobe extension and Alexander Wang who didn’t try very hard with it at all. So Gvasalia presented a tour de force in tailoring infused with just the right amount of street cred and it felt new and desirable. Expensive fabrics but familiar shapes, that was the trick. While talking about hype, nobody really talks about Phoebe Philo at the moment. She has always been top five in the designer ranking but with the arrival of another smart Kering recruitment in Alessando Michele at Gucci she has not been talked about lately. But she is still good and her latest collection held on a Tennis court in the 16th arrondisement, showed that we need and should talk about her again. Smart tailoring and proportions, clever coloring and a clear sense of what new fashion needs to be guided the show and made clear that Philo is still on top. And this is where it gets complicated because in a way the fashion press and opinion leaders have slightly moved on from Celine. The Philo clad front rows are a thing from yesterday, now it is all about Balenciaga and Vetements with top editors and stylists. What we find amazing is that Philo has the determination and stamina to re-ignite her Celine label with fashion heat again nearly a decade after her beginning there. 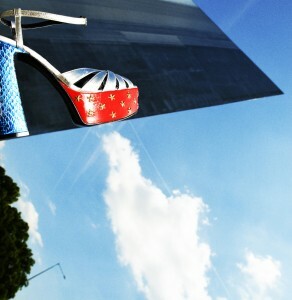 The Celine woman is still in charge of her own destiny and not a kept woman who has the man buy her the clothes. 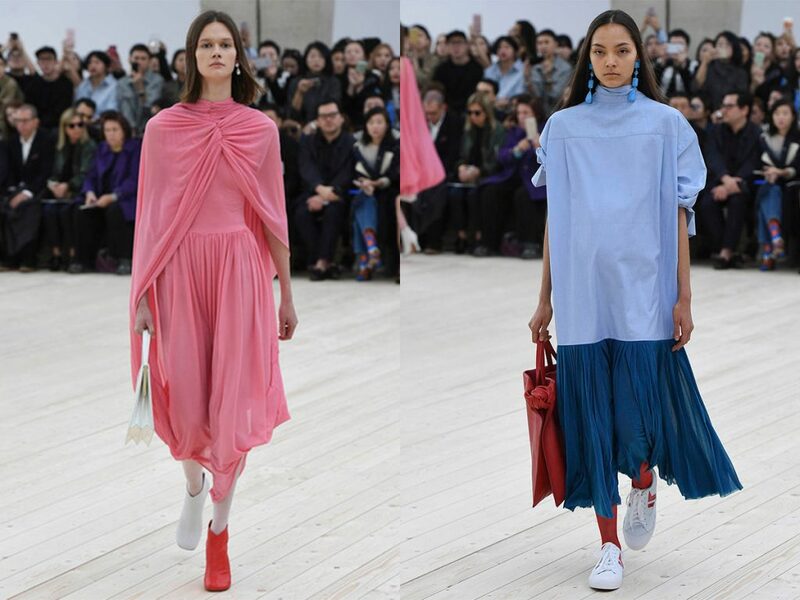 By being a little more emotional and less architectural with this collection, for example models wore different colored shoes, she opened a new door for her adventure. We are looking forward to her next moves.